Arguably the world’s pre-eminent wine region, Bordeaux is not readily associated with emerging trends like natural or low-intervention winemaking. In this region, the celebrity Crus classés [Classified Growths] have transitioned from mere wine producers into luxury brands, and protecting those brands—read not taking risks—is their major priority. Pontus Elofsson, head sommelier of Noma, Copenhagen (named the best restaurant in the world a couple years ago), is steadfast in his decision to exclude Bordeaux from his list because of the supposed dearth of natural wines. This highlights two of Bordeaux’ major challenges. First, even professionals such as Elofsson tend to lump the entire region together. Second, there’s an assumption that all Bordeaux production is manicured and manipulated to ensure a quotient of Parker points. 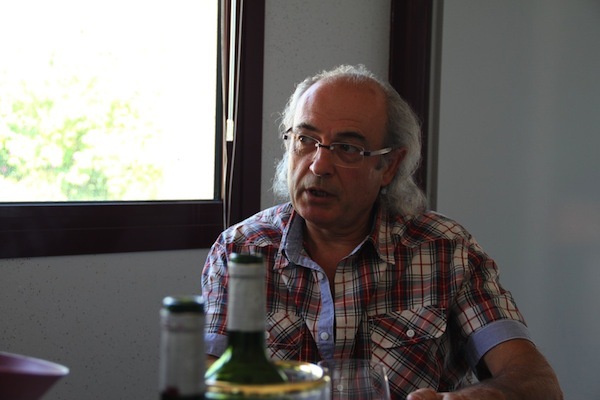 Were Elofsson to head away from the prestigious Medoc estates and into the AOC Bordeaux and Bordeaux Supérieur hinterlands, he might find wines more to his liking. With 3,000,000 hectolitres of wine being produced in the region every year, Bordeaux producers must fight to find a point of difference or risk their wines being sold for a pittance. There’s a burgeoning interest in organic (biologique, or bio for short), biodynamic farming and low-intervention winemaking—techniques which, if well used, can extract the maximum potential from good terroir. Joel Duffau, ninth generation winemaker at Château La Mothe du Barry, is not trying to be a Lafite or even a Pontet-Canet. For him, “wine should be for everyone—not elevated onto a plinth.” He believes passionately in the importance of organic farming for the health of his vines and his staff. His range of white, rosé, clairet and red wines are unpretentious, varietally typical and elegant. They are also outstanding value; top of the range “Cuvée du Barry 2010,” a true vin de garde with its tight structure, spiced plum and mocha notes, is a mere €10 at the cellar door. 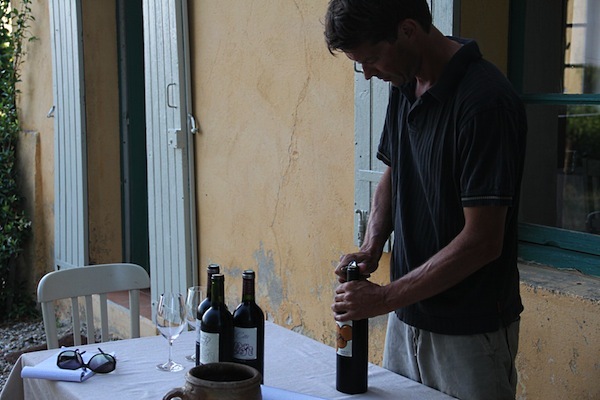 Achieving organic certification in the Bordeaux climate isn’t easy. Mildew, for example, is a problem almost every year, with 2012 shaping up to be particularly bad. But producers are responding to consumer demand. Importers to the U.S. are particularly keen to have label integrity. 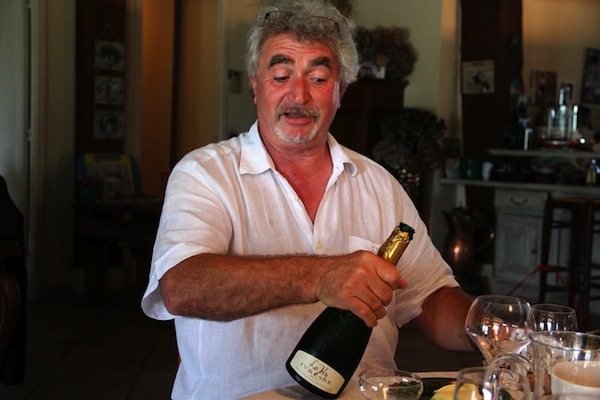 Stephen Miejer at Château Auguste sells most of his wine to Monoprix in France and Trader Joe’s in the U.S., and feels that organic farming is essential to ensure the sustained health of his vineyards. He’s proud of the estate’s clay soil, reminding us during a recent visit that we are not far from St. Émilion. Meijer’s range (a rosé and two Merlot cuvées) are accessible, modern, almost New World styles. Elofsson would love the wines of Château Tire Pé. 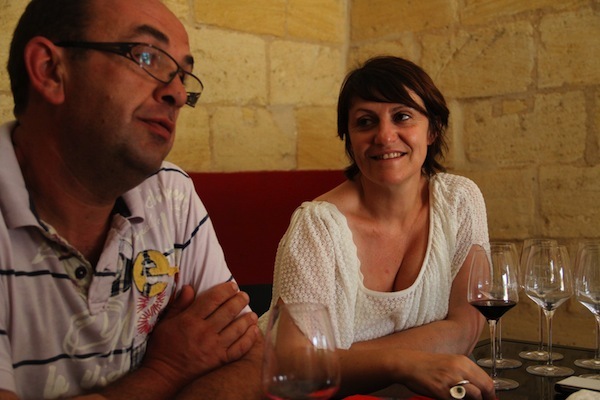 Hélène and David Barrault have been making wine at their pretty location in Gironde sur Dropt for 16 years. Not only do they farm organically, but the wines are vinified with an extremely light touch. Château Tire Pé 2010 shows how pure and elegant Bordeaux Merlot can be, when only wild yeasts and cement tanks are used. 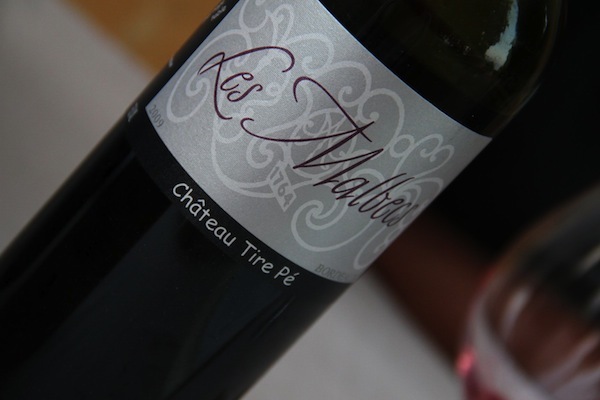 La Côte de Tire Pé 2009 adds Cabernet Franc and restrained oak to the mix: a whiff of cinnamon and refreshing black cherry give way to refined tannins. Superbly balanced and thirst quenching, it reminds me that perfect claret need not be heavy, brooding or overly oaked. David also makes a sublime 100% Malbec, all crushed berries, burnt plum, cloves and violets on the nose. It’s not surprising to see smaller producers turning organic, but larger operations are also putting their weight behind the movement. Christian and Pascal Boissonneau produce some 450,000 bottles a year. Pascal started the conversion to organic in 2006, achieving certification in 2008. He has noticed a marked change in the vineyards, with increased biodiversity and better vineyard health. 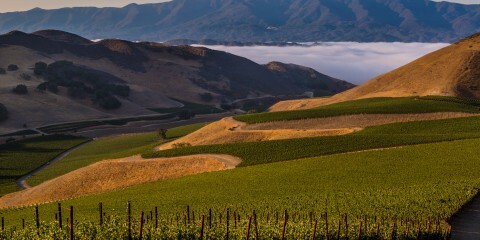 He says quite simply, “It’s better for the soil, the vines and the people.” The Vinum Natura range, produced mainly for the U.S., is accessible and attractively priced. The barrique-aged Heritage Blanc (Sauvignon Blanc/Sémillon) has bready complexity and floral lift, although it could benefit from more acidity. The Boissonneaus nurture the rare abouriou variety in neighbouring Côtes du Marmandais, vinified as an oak-aged blend with Merlot to soften its rather ferocious tannins. Not dissimilar to Madiran, it’s spicy and gutsy stuff. Their “first label,” Château de la Vieille Tour, has more classic claret styles. Larger still is Vignobles Raymond: Jean-Pierre and Lionel produce 800,000 bottles and distribute some 5,000,000 more via their négociant business—all certified organic. This impressive family-run operation has sustainable values running right through its core. Their premium cuvée “La Joly” 2009, produced from hand-harvested cabernet sauvignon and malbec, would be an asset to Noma’s wine list. It is perfumed, poised and profound—yet remarkably fleet of foot. And there’s also their charming “Sans sulphites” Merlot “L’Authentique”, whose red fruit fairly leaps out of the glass. These wines are widely distributed in the U.S., but Europeans still seem to unfairly typecast the region. There are over 130 organically certified growers in AOC Bordeaux, compared to just two of the “Grand Cru” properties. There is a revolution happening here—Mr. Elofsson, take another look! Nice article. Both organic and not the petit chateaux of Bordeaux are certainly making waves and represent great value for money. Thanks for the comment – yes indeed, I was really struck by the high quality and low prices. We just don’t see these wines in the UK, which is a great shame. I will be returning to Bordeaux to search out more gems in the future. I felt I was just scratching the surface . . .
My team recently take a look at some compounds of health-related interest found in wines, and it appears that organic wines might be advantageous in this respect. I’m planning to visit some Bordeaux organic producers this year. Would it be possible to get your recommendations? I would guess some scientific research would provide additional benefits to organic wine-makers. Great post Simon!! 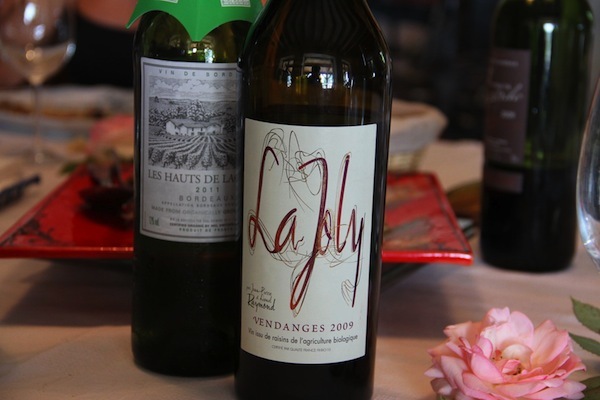 I was truly impressed by the variety of organic wineries we visited in Bordeaux. Small and larger producers battled on to grow organically because they believed in their terroir and were convinced that going organic was the best way to express the terroir characters. Reading this post brought back many a happy memory! Thanks Caroline – and also thank you so much for all your help in organising the visits to these properties, and driving me round! Really wouldn’t have been possible without you. Great post! I have been talking with several producers in Germany who do organic practices in both the vineyard and in the cellar and have heard many good stories. In short, there is more life in the vines. Interesting the first point made by virtually all the producers I spoke to in July was that the soil felt more alive and healthy – never mind the vines! One thing I should mention. In Oregon last week, I met with many producers, many quite large and organic. What I learned is that Organic is more divorced from Natural than I thought. Logic says that the more attention you pay to how you grow and harvest the grapes the more that will carry over into your believe on intervention in the cave. In Oregon, with a few very large producers, that was not true. So true – Chateau Auguste, who I did not talk much about above, have a wonderfully kept organically farmed vineyard, yet Stephen Miejer (owner and winemaker) is extremely interventionist in the winery. He uses cold stabilisation, cultured yeasts, oak chips, the full range of technology available to him to make the product he wants to sell. I have to say that seems like the exception rather than the rule though. The two largest producers I visited in July (Boissonneau and Raymond) are both extremely committed to sustainability in everything that they do. Boissonneau now have beehives in their vineyards, to act as an early warning system for environmental problems, and to aid with pollination of cover crops. They prefer not to filter their wines, although some of the labels made for the US are filtered because of consumer demand. Raymond use natural yeasts wherever possible (they intervene if it looks like fermentation is going to stick), and have developed water recycling systems for their new winery (A massive barn of a building, housing winery, warehouse and office space), which is effectively in the back garden of the family homestead. I agree it’s a rarity burt then again, I found Oregon to be full contradictions. With some great small vineyards thrown in. Since I take some small personal credit for bringing ‘natural’ into your vocabulary, I will let you here or when we meet in Sicily talk to me about ‘sustainability’ as a concept and a certification. Not speaking to me although I understand it conceptually of course. In Oregon, they have LIVE, a wildly wacky mashup of ecology, agriculture and carbon scales. For example, if it takes too much fossil fuel to run a tractor to spray organic elements you are permitted to use pesticides to reduce the fuel usage. Not getting this one for the farmer, for the product nor certainly for the consumer. If I occasionally seem apologist or ambivalent about the term, its for the reasons I’ve previously outlined – fear of bandwagoning, risk of the term becoming devalued, the vagueness of the term “natural”. Hence I always like to back it up with something else (low or non-interventionist is my current fave). In my comment above, I would have gone back and edited the word “sustainable” if this commenting system allowed! I sort of jumped around two different subjects without meaning to. I think my thought process was linking organic-biodynamic-natural-sustainable, because in many (but not all) cases, winemakers who are interested in one subject are interested in them all – certainly that was the experience we saw at Vignobles Boissonneau and Raymond. Yet another detail I forgot to mention (not enough words in the article) was that Boissonneau have also been moving to lighter weight glass bottles, to cut down on Co2 emissions from freighting the wines around the world. I’ve not come across “LIVE”. It does just go to show however that it is not a simple equation of “organic=sustainable” and something else is not (much as I wish it would be). For example, there are many examples of wineries who’ve converted to organic/biodynamic, and seen their Co2 emissions/energy usage increase. This is partly because, as Joel Duffau told me on my visit a few week ago, “organic/biodynamic farming actually requires more intervention in the vineyard”. By which he meant that instead of just doing a blanket pesticide or fungicide spray, you are constantly in the vineyard, weeding, checking health of the vines, and may need to do 5-6 copper/sulphur treatments a year if there’s a big mildew problem. Yes, I am looking at a typo in my last comment with horror and can’t change that. Glad to introduce personally the head of Palate to the CEO of Disqus, a friend of mine. Re: lightweight glass. I really like this trend as it is all goodness without impacting wine. If there is a scale or a simple question I can ask winemakers about the weight of their bottles, let me know and I’ll add it to my writings as well. In Oregon, they use the term ‘touches per vine’ as a metric for effort both personally and machine to measure energy use. In BioD it is very high, like some 30-50 over a season. Blatently, and I’m less and less shy about my opinions, I just don’t buy in any way consumer facing standards that don’t speak to how a wine is made, not to how the farm is run. From that perspective, Sustainable is not in my lexicon of important terms. Note that the shops in my community project, http://www.thelocalsip.com asked me to add Sustainable as a descriptor but I can tell you that it is not getting much consumer attention. They sound great. I’m hoping to organise a subsequent trip (or two!) where I’ll concentrate on small bio/natural producers in St. Emilion and its satellite areas. A very interesting article about smaller natural/bio producers in Bordeaux, I don’t fully understand the nuances and differences between the two. But I think the the more chemicals you put in the soil and the more you tinker with nature the more things tend to get messed up. I myself have avoided Bordeaux wines as of late, thinking that the quality ones are over-priced, while the cheaper ones being pure plonk. However the other night when some friends came over for dinner they brought a bottle of Chateau La Gasquerie Bordeaux AOC 2010 Saint Peys De Castets—Gironde. No, it wasn’t Petrus, or a Pessac Legonan, or a first growth but it was all that a Bordeaux should be: a cuvee of typical Bordeaux varietals. It was rich, dry, not overly fruity and a good deal. I think I will pay more attention to the Petit Chateaus from now on! At the end of July, Simon came to our vineyard to discover our production . We were very happy to explain how we work in accordance with the envionnement. We will welcome all those who wish to visit us in Bordeaux, in our domain. Thank you so much for your time, when we visited in July. Also thanks for your clarification on “Vinum Natura” – I gave the impression above that this is produced for the US. You reminded me that Vinum Natura wines are also distributed in Europe and Asia.